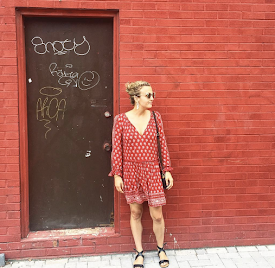 I've broken up with boys, cities, apartments, roommates, jobs, hobbies, and routines. While I'm not a flake, sometimes you need to muster up the courage to walk away from something that doesn't resonate with you anymore. I'll admit, with every goodbye, it always felt like the end of something major. I told myself that I wouldn't recover, or find a new routine, or meet someone new, and then, with time, the painful gap closed, and something better came along, and I was glad I listened to my heart. And so, this is my long-winded way of saying, I'm breaking up with Not A Model. It's been a decision about a year in the making, when I realized the moniker, Not A Model, didn't feel like me anymore, and I hadn't written anything in over six months. I started this blog during my post-grad as a class project, and went live on October 1st, 2009. Then there was that time Liam Hemsworth introduced me to his mom !!!!! And while I still continue to write, and have some new projects in the works (stay tuned) it's time to close this chapter. I want to THANK every single person who has clicked, shared, followed, and commented over the past seven years. Just having one person tell me that a post made them feel better, or a little less lost meant everything to me. See, the world is falling apart. When I flip through my newsfeed in the morning I'm hit with: terrorism, #BlackLivesMatter, and Donald Trump as the potential leader of the free world. It starts my day with a heavy heart, and a desire to stay under the covers. And yet, despite the serious world issues going on, yesterday, my feed was polluted with a Kardashian and Taylor Swift war? Lord save us all. 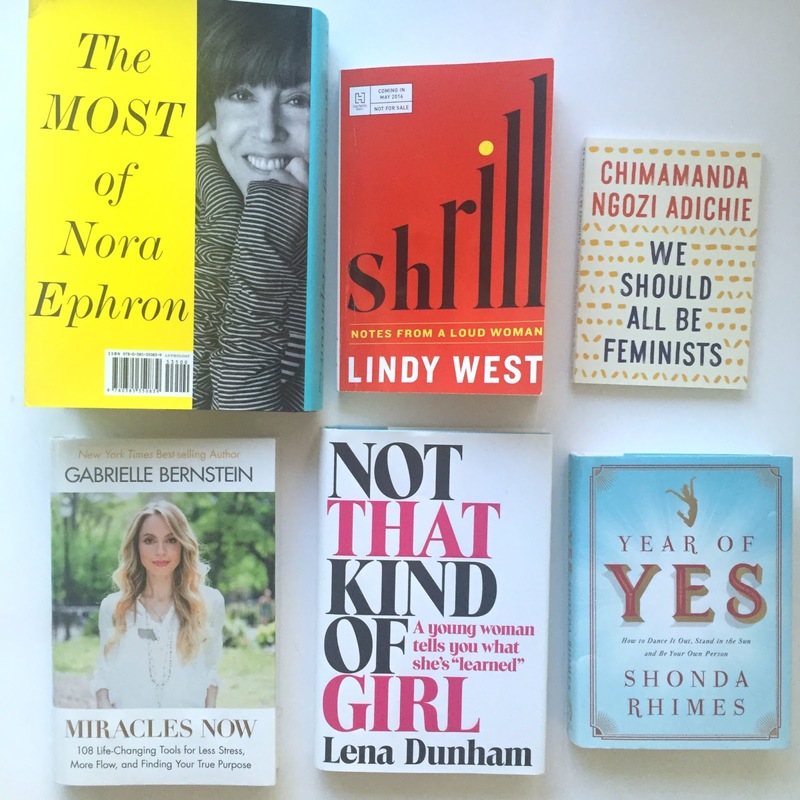 If you need a break from the gossip, below are six books written by strong, powerful, bold women to inspire you to tell your story, stand up for what you believe in, and never stay silent on the real issues that matter. Even if that's taking down the queen of pop in a Snapchat feud. (just kidding - no bullying allowed). Failure can feel like defeat, frustration, loss, heartbreak, pain, embarrassment. The best way I can define it is standing on the edge of a wobbly diving board, making a gigantic leap...and belly flopping. Sometimes, there is a bit of failure everyday - from not receiving the right text back, or missing the mark on a goal. Sometimes it takes a birthday, or big milestone to analyze where we dropped off the map, or became inadequate to achieve. Last year, I read Brene Brown's, Rising Strong after going through multiple changes in my life. From health to relationships to career, I had a few "rumbles" as Brown likes to call them. Do you have siblings? Does your family have drama? Do you have a trust fund? Do you wish you did? 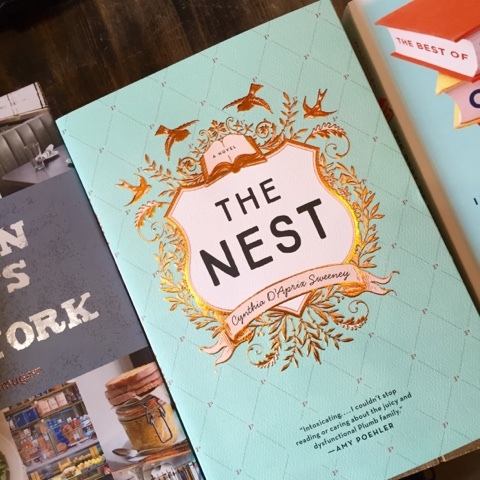 This month's book club pick goes to Cynthia D'aprix Sweeney's, The Nest. I picked up a copy after everyone and their dog-walker seemed to be sharing the book on social media, and I was curious about the hype. Also, every bookstore I walked into, seemed to have the blue and gold cover smack in the middle of every display.